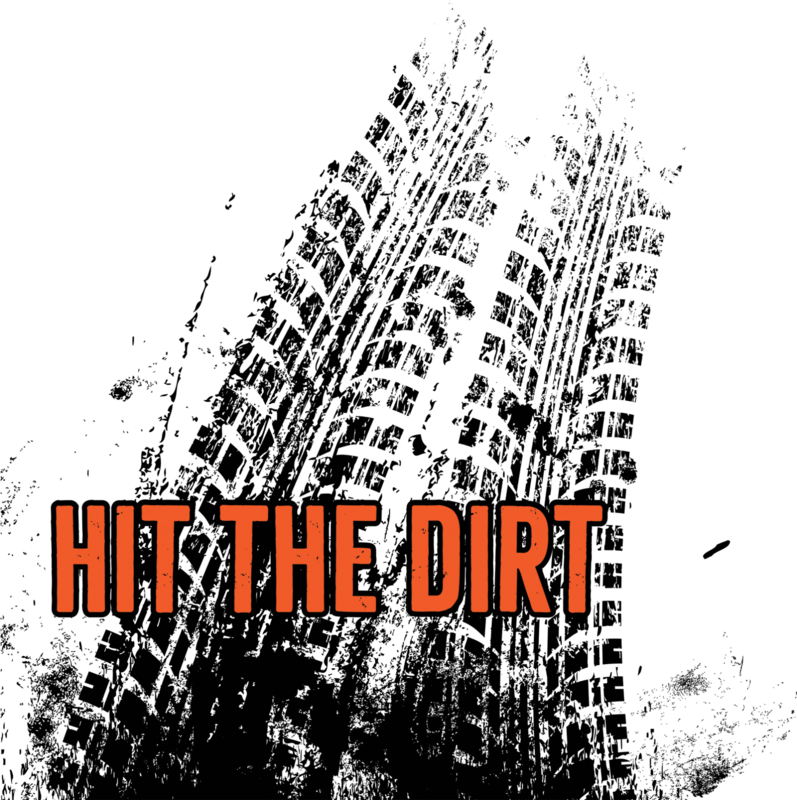 The Carroll County Off-Road Cyclists have been all in since the very beginning, volunteering their time and hard work to transform the trails system from a dream into a reality. If you think of yourself as a thrill-seeker, Lake Leatherwood City Park is the place to be. The Eureka Springs Parks and Recreation Commission recently opened new world-class downhill mountain bike trails at the park, which already features several miles of trails. Parks director Justin Huss said the trails are a product of a collaboration between the parks commission and the Walton Family Foundation. The project never would have happened, Huss said, if the foundation didn’t step in to help. Gary Vernon, the Walton Family Foundation’s program officer, described how important the project is to him. He’s familiar with Lake Leatherwood, Vernon said. 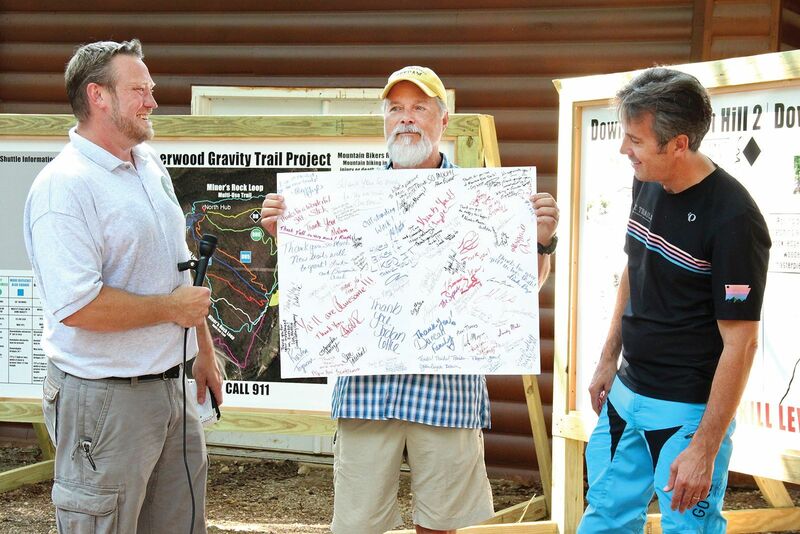 An avid mountain biker himself, Walton Family Foundation program officer Gary Vernon speaks about the world-class quality of the new downhill trails system and the golden opportunity he says it will prove to be for Eureka Springs tourism. Vernon remembered when the foundation first started building trails in 2003, saying Stuart and Tom Walton built five miles of trail in Bentonville. He’s asked professional riders and industry leaders what they think about the mountain biking trails in Northwest Arkansas, Vernon said, and they are impressed. There are nearly 30 miles of trails at Lake Leatherwood now, Vernon said, plus the trails in town and at the Great Passion Play. Looking toward the future, Vernon said, Eureka Springs should prepare itself for an influx of mountain bikers. Vernon recalled visiting the city during construction, saying he didn’t see many visitors in the winter. “I think that needs to stop,” Vernon said. Parks chairman Bill Featherstone said he hopes to continue working with the foundation to expand the trails in Eureka Springs. The parks commission first engaged with the foundation in 2012, Featherstone said. Seeing the project become a reality, Huss said, has been fulfilling. 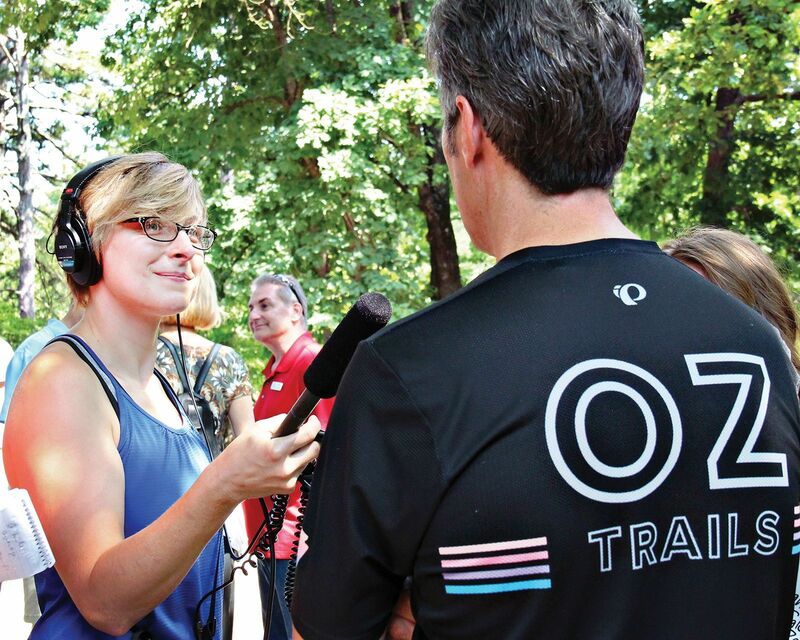 KUAF reporter Zuzanna Sitek interviews Walton Family Family Foundation program officer Gary Vernon. Parks chairman Bill Featherstone presents an enormous greeting card signed by just a few Eurekans to the Walton Family Foundation for their generosity and support. 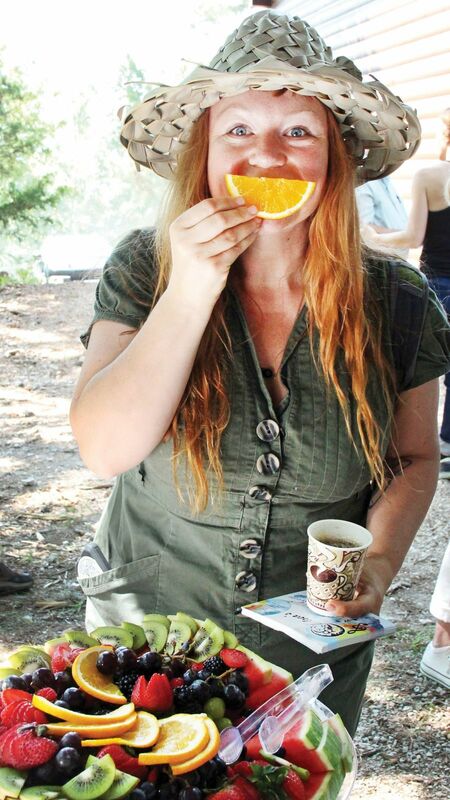 Orange you glad Eureka Springs has positive and enthusiastic trail advocates like Tracy Johnson?